Chakrasana has derived from a Sanskrit word Chakr means Wheel and Asana indicates a Yoga pose. Therefore, Chakrasana is also called as Wheel pose. However, it is known by meanings too like circle, whirlpool and spiral. It is so called wheel pose because in the final stage, it takes the shape of a wheel. 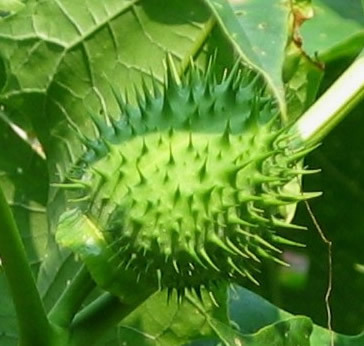 It is associated with so many benefits like flat stomach, belly fat burning, making the spine supple, etc. It has some precautions too. Bend the legs and place the heels near thebuttocks. There should be a half metregap between the feet. Place the hands on the groundnear the head. Inhale, raise the head and trunk off the ground and also straight your arms and legs. Try to give suitable stretching on the back as per convenience. Do normal breathing while maintaining the pose. 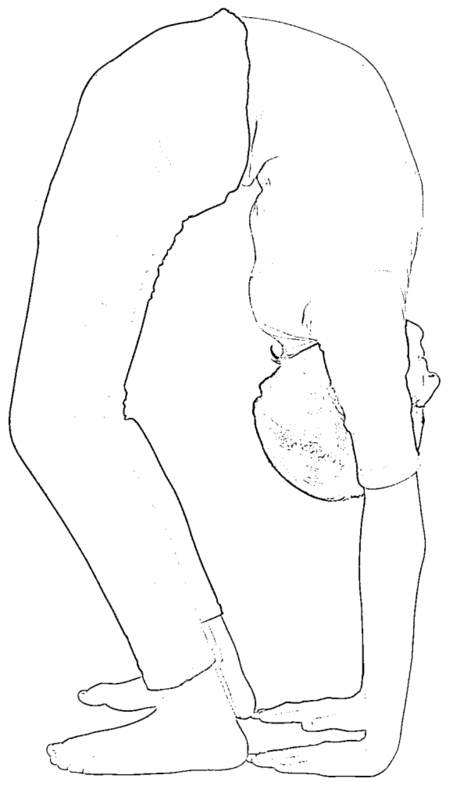 Return to the original position by slowly lowering the body on the ground. Intra-abdominal pressure: It gives intense intra-abdominal pressure, decongest the stomach, thus good for the health of entire abdominal organs. It releases trapped gases from the abdominal region and also ensures smooth oxygenated blood flow to various body organs thus increases the efficiency of organs and body systems. Lethargy: It is one of the important yoga poses to overcome lethargy and sluggishness. It also provides great vitality, energy and feeling of lightness. Navel health: It has a direct effect on the solar plexus at the navel, which is a large sympathetic nervous centre, thus good for the smooth functioning of various organs. Sexual organs: The practicing of wheel pose helps to better functioning of sexual organs. Kidney and Bladder health: Since the practicing of this yoga directly stimulates the sympathetic nerves, provides appropriate fluid balance in the body, thus ensure sound health of kidney, urinary bladder and organs related with urinary system. Diabetes: The regular practice of this yoga asana tones up the pancreas and ensures the right secretion of glucagon and insulin thus helps in the management of diabetes. Weight Loss: It is one of the effective yoga for weight loss. It makes your body slim and trim. It is also toned up your arms and legs and gives suitable fitness structure. Flat stomach: It is the excellent yoga to burn belly fat and helps to make your stomach flat. It also sheds extra fat from the abdominal region. Spinal health: It rejuvenates and realigned the entire spinal column. Regular practice of the yoga helps to relieve back ache. It not only reduces the back ache but also strengthen the back. Cardiac health: It massages the heart by pushing reasonably pressure in the diaphragm, which is pushed towards the heart by the extra pressure in the abdomen. Asthma: It helps to enhance the capacity of the chest thereby increases the lungs capacity and good for various respiratory disorders including asthma. Thyroid and adrenal glands: It massaged and toned the thyroid and the adrenals, thus good for the women who are suffering from thyroid problems. Strengthens arms and wrists: It gives suitable stretch to the arms and writs, thus toned and strengthens the arms and wrists. It has also very soothing effects on the head. The wheel pose shouldn’t be performed in the following conditions. Does any yoga poses for vertigo cure? 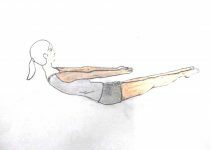 You can try some yoga poses like Tadasana, Setubandhasna, Dandasana, etc. However, these yoga poses should be practiced in the supervision of yoga expert.